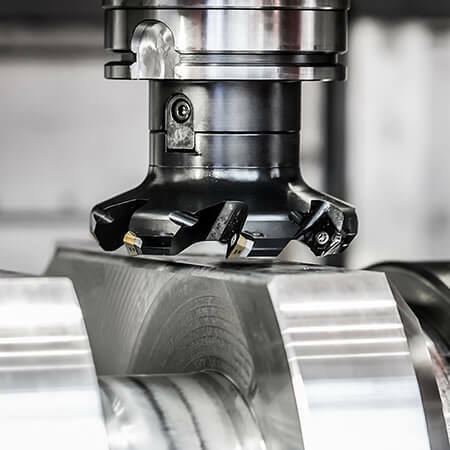 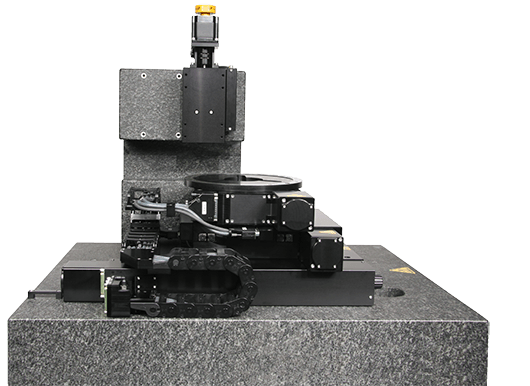 This four axis platform was designed for integration into an automated metrology system used for semiconductor research and process development. 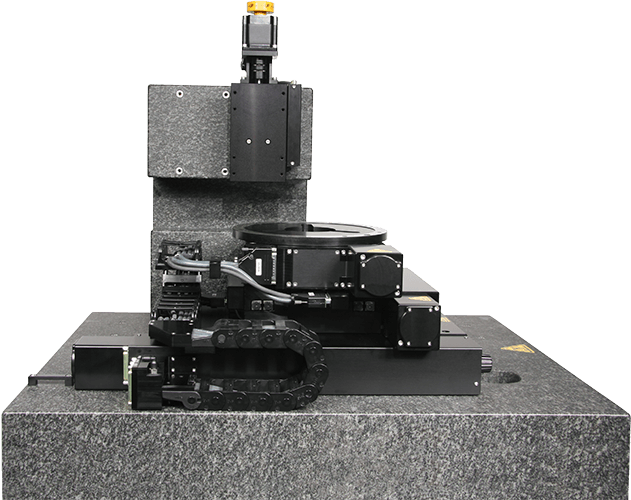 The system is fully cable managed, including support for additional motorized functions mounted to the HSR08 (theta axis). 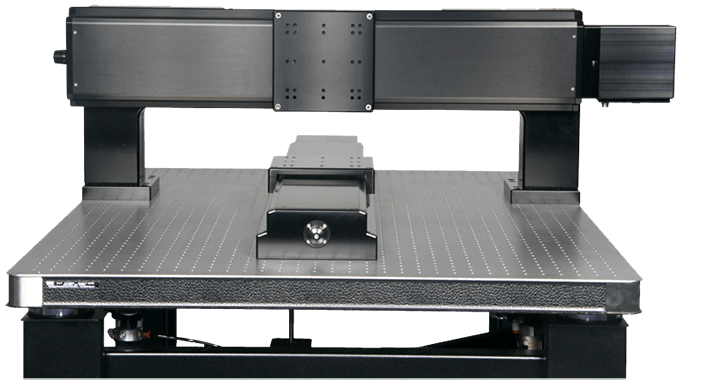 All four axes are mounted and aligned to a custom granite base and pillar. 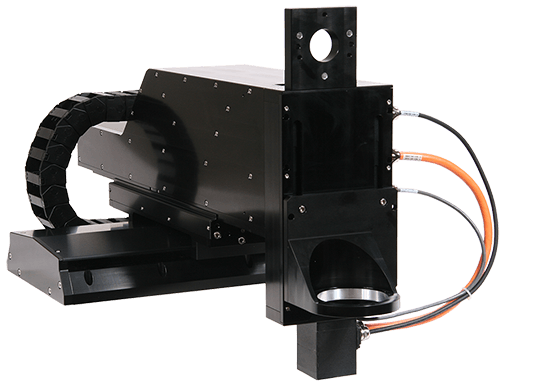 This is a custom three axis solution we designed for a manufacturer of laser cutting tools. 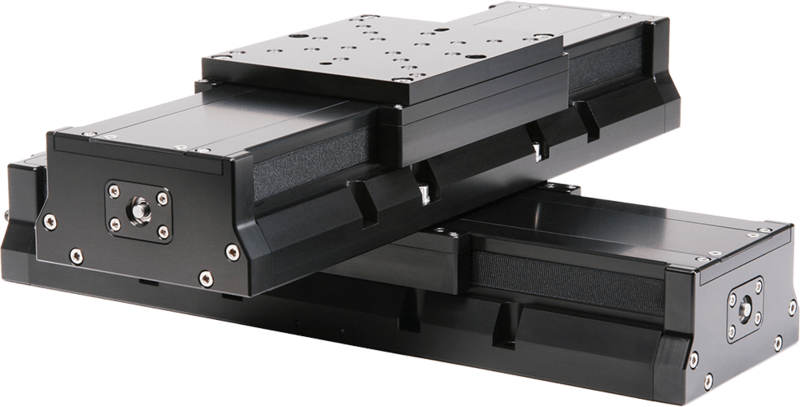 With their previous motion assembly, it was up to the customer to design and build their own mounting brackets, assemble, align, and cable track the three axes of motion. 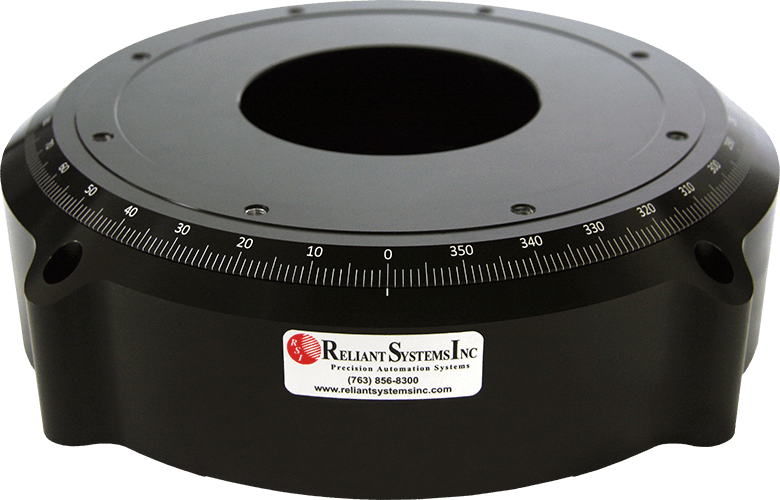 The RSI custom solution is supplied fully assembled, aligned, and tested; ready for final integration. 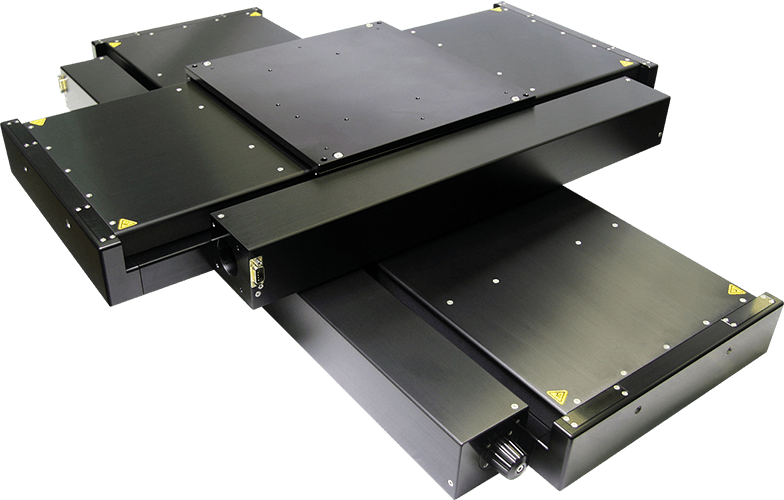 This split gantry system was designed using two 650mm long travel stages to be used for inspecting or processing larger parts such as flat panels and circuit boards.